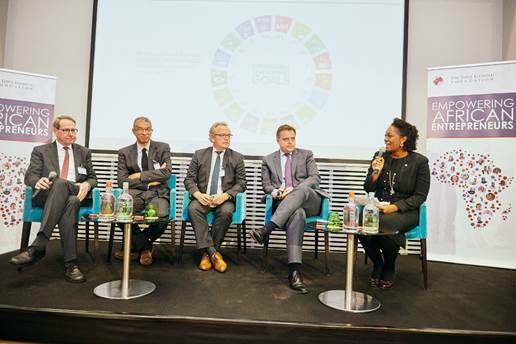 The Tony Elumelu Foundation recently hosted leading stakeholders in the development finance sector to a case study session in the European Union capital, Belgium in what it said is to demonstrate that Africa can also bring solutions to the table. The occasion also served to present results of the foundation’s first five years of unique Entrepreneurship Programme, through which it had trained, mentored and seeded 4,470 African entrepreneurs. 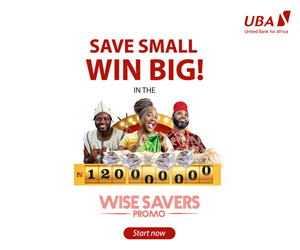 Another 3,050 newly announced entrepreneurs are to receive seed funding, just as and drawn over 200,000 applications to its 2019 cycle, as part of Tony Elumelu’s $100m investment in entrepreneurial philanthropy, as an example of how vital capital could be targeted efficiently and effectively, at African businesses best able to create significant economic and developmental impact. During a question and answer session with EU-Africa relations expert, Annie Mutamba, Founder, Tony Elumelu, highlighted the growing interest in the foundation and its unique approach, while welcoming a new type of intervention in Africa. The foundation, in March, announced 3,050 selected entrepreneurs for its 2019 cycle, continues to grow in scale, ambition and impact, and now actively leverages technology to support entrepreneurs through TEF Connect – a digital hub designed to link entrepreneurs across Africa, and which already has 500,000 users. On the foundation’s future plans, he said: “We want to make sure that we impact more, reach more, touch more lives and get more women involved. We want to see more Northern Africa participation. We would like to reach 10,000 a year, with support from partners to empower additional entrepreneurs. We want to eradicate poverty and create wealth in a sustainable way. “Ultimately, we want a larger and broader entrepreneurship ecosystem, that supports young Africans, and we want to deepen our engagement with government to create the enabling environment to support these Africans to succeed – the right investment climate, training, education, access to capital and most importantly creating the right investment culture,” he stressed. The event also attracted dignitaries such as: Carl Michiels, Director, European Centre for Development Policy Management (ECDPM); Bruno Wenn, Former CEO/Chairman at DEG-German Investment and Development Company, and Advisory Board Member, Tony Elumelu Foundation; Viwanou Gnanssougou, Assistant Secretary General, African, Caribbean and Pacific (ACP) at the European Council of the European Union, and Ifeyinwa Ugochukwu, CEO of the Tony Elumelu Foundation. Photo Caption: Carl Michiels, Director, European Centre for Development Policy Management (ECDPM); Former Prime Minister of Benin, HE Lionel Zinsou; Bruno Wenn, Former CEO/Chairman at DEG-German Investment and Development Company, and Advisory Board Member, Tony Elumelu Foundation; Minister Phillippe De Backer, Minister for Digital Agenda, Telecommunications and Post; and Ifeyinwa Ugochukwu, CEO of the Tony Elumelu Foundation.